Our scheduling software provides several payment settings. 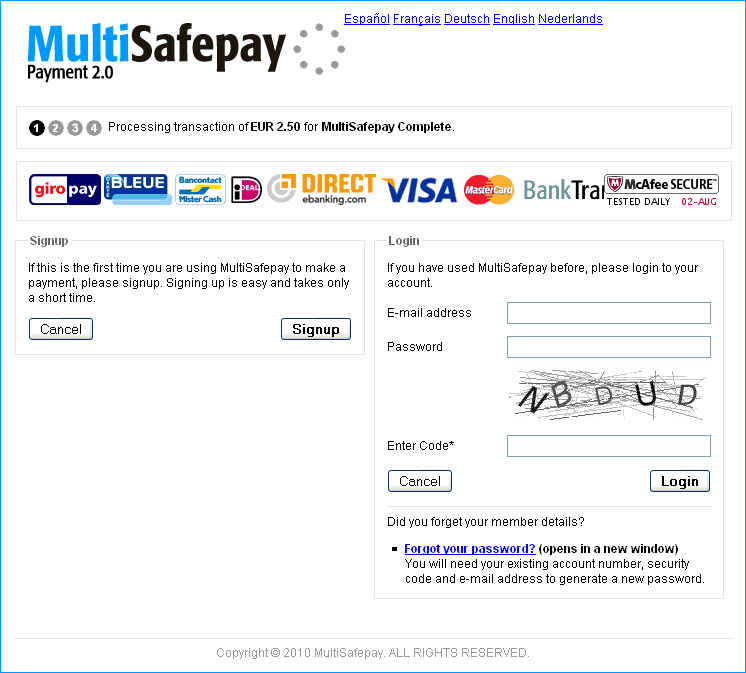 Currently, our scheduling software supports two payment systems: MultiSafePay (all credit cards, 100% integrated with our scheduling software), and Paypal (more currencies). At your request we connect with other payment systems (for free).